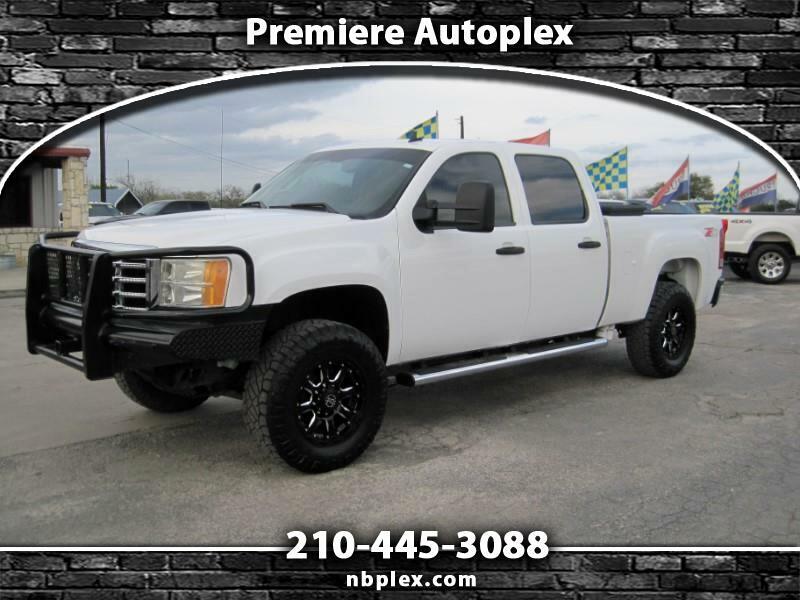 2009 GMC 2500HD Crew Cab, SLE, SWB (Short Bed), Z71 4x4, 6.6L Duramax Turbo Diesel, Allison 6 speed Automatic Transmission, Replacement front bumper, Cube LED's in Rear Bumper, 2.5" Lift/Leveling Kit with 18" Black Rhino Alloys and 33" Nitto Ridge Grappler All Terrains, tow pkg with integrated brake controller and tow mirrors, Fass Fuel System, S&B Air Intake, Power drivers seat, mP3 cd, adjustable pedals, steering wheel controls, tilt/cruise, Cloth seats with carpeted floors, power windows, power locks, power mirrors, dual climate control,homelink, On Star, just broke in with 149k Miles. Nice Clean 4WD GMC , Like the Chevrolet 2500HD. Trucks sell fast so please call ahead to see if we still have it in stock. Call Mark at 830-556-4547 or Call or text Jason at 210-878-8515 with any questions or for more information. All of our vehicles are inspected and serviced prior to being offered for sale. We pride ourselves in offering clean and dependable trucks. Financing options are also available W.A.C! Come see it in person at 2250 S Business IH 35 New Braunfels, TX 78130. WARRANTIES AVAILABLE ON MOST UNITS.